This is a simple and easy Halloween Costume. You can go with a group as Dorothy, the tinman, the lion, and scarecrow or as a couple as a male and female scarecrow. Do french braid pigtails in your hair and you are set to go! If shopping online, make sure to check out Ebates for cash back opportunities too! 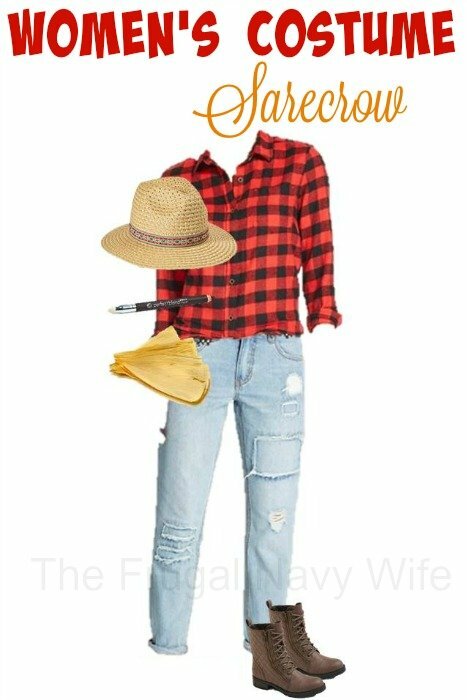 This is a great one to make a whole family costume!